Apologies for not doing a Japanese Grand Prix Review until now. And unfortunately this time it won’t be a video review either. I’ve been really sick with the flu (hopefully not swine flu! ) but it’ll be back to business as normal for the Brazilian Grand Prix. Jenson Button – After a great drive in Singapore this performance was very disappointing. Kind of sums up the 2nd half of the year for Jenson. Jarno Trulli – Great job from Jarno and Toyota. One wonders what would have been if Glock was able to race too. Let’s hope Toyota can continue the momentum into next year. Heikki Kovalainen – Very surprised he didn’t get penalised for completely screwing Adrian Sutil’s race up. Sutil made the cleanest pass possible then Heikki just straight out punts him off. 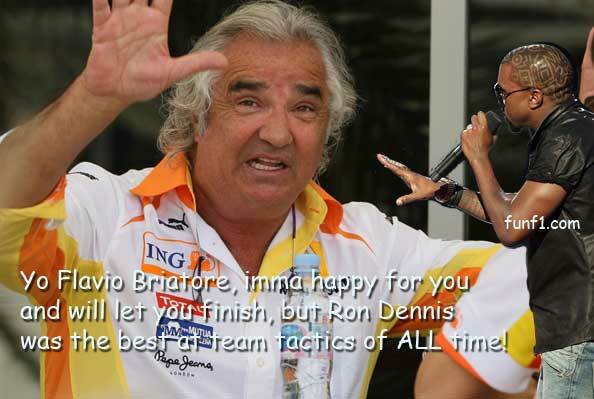 I’d be surprised to see him at McLaren next year. Kimi Raikkonen – Like Lewis, Kimi is getting some good consistent results. Nico Rosberg – Can’t wait to see him in a (hopefully) better car next year. Fernando Alonso – First race in a long while where he’s completely not been a factor. 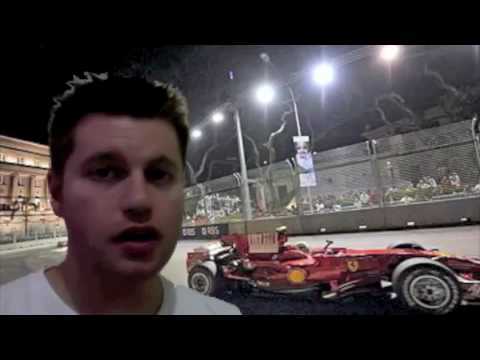 Singapore Track – Love the F1 cars under lights! Lewis Hamilton – Dominated the race. 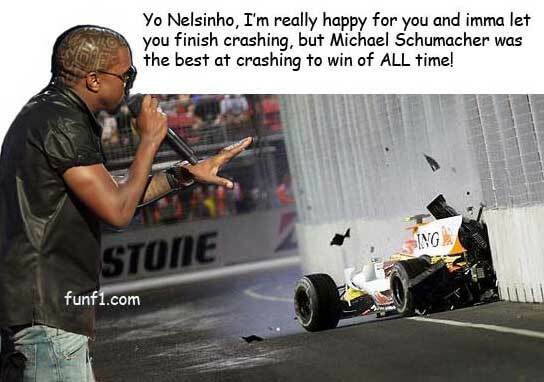 Doubt Vettel could have touched him even without the problems. Timo Glock – Such a shock. On minute Toyota are at the back of the pack, then one or two races later they’re front-runners. Sebastian Vettel – It was nice seeing him push and dreaming there might be a fight for first place in the race, but the reality was the Red Bull cars weren’t up to it and speeding in pits didn’t help. Jenson Button – Really good drive from the would-be champion! Started the race a bit so-so but then did a string of good laps and outdrove Barrichello. Rubens Barrichello – Just when you thought the momentum was going Rubens’ way he faltered a bit in this race. Romain Grosjean – The guy spins off in practice in exactly the same place Nelson Piquet Jr crashed last year to alledgedly help Alonso win the race. Now that’s irony! Ferrari – Bit weak all round..
We’ve also tried to minimise the impact of advertising on the site and make it a bit more tightly integrated. One thing we’re looking at doing is bringing more video to the site. Let us know what you think and we’ll try to make the site exactly how you like it.